Chicago Handyman Drywall Services are second to none. Some contractors wont touch drywall. Chicago Handyman loves it. Precision counts when it comes to drywall. Chicago Handyman takes time to ensure precision accuracy. Quality workmanship and years of experience create walls that are smooth to the touch and the eye. We can install and repair drywall in wet locations like kitchens and bathrooms. 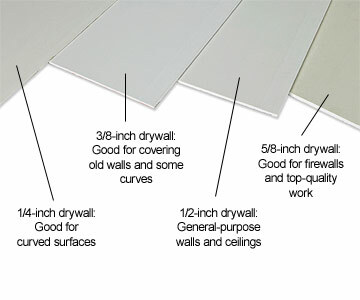 There are several types of drywall for various applications. Your Chicago Handyman Technician will choose the right material for your project, so you can leave the guess work out of it. 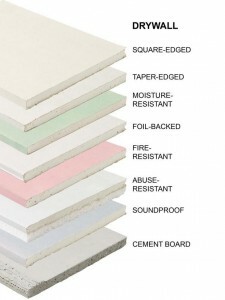 Did you know drywall comes in a range of thickness? From 1/4 in. to 3/4 in. Drywall is mad of gypsum, a mined earth mineral which crumbles easily into a soft powder. Gypsum consistency makes it a great sound and temperature insulator, and is easily form-able. Drywall sheets are made of compressed gypsum wrapped in paper. They are easy to screw and nail through which makes them ideal for attaching to 2×4 wall studs. Chicago Drywall for residential applications. Whether its a hole in the wall, water damage, or a finished basement, Chicago Handyman has the experience and skill to repair existing drywall or finish entire rooms. With several years of experience with residential drywall in Chicago – in both installation and repair, we pride ourselves on clean and efficient workmanship. We can recommend the best options for your needs and budget. Drywall goes a long way when it comes to sound and temperature insulation. We can recommend and install solutions for any scenario. Our home energy audits can also reveal areas where simple repairs can add up to a more comfortable home and savings on your utility bills. Often times we can identify and eliminate air leaks by patching drywall holes. As Your Chicago Handyman technician inspects your home visually, we will point out any areas where small fixes can lead to big returns. We Design Drywall Solutions that work. In new construction and renovating some of Chicago’s interesting historic architecture, nothing else functions quite like a perfectly crafted commercial space. Clean and smooth construction creates a productive work environment and communicates quality to all guests. Chicago Handyman prides ourselves on the absolute highest standards when it comes to any commercial project. Drywall installation in commercial spaces can exceed 10,000 sq. ft. Thats no small project. We have the manpower and gear to finish any job no matter how big or small. Large projects are completed with communication at the forefront. 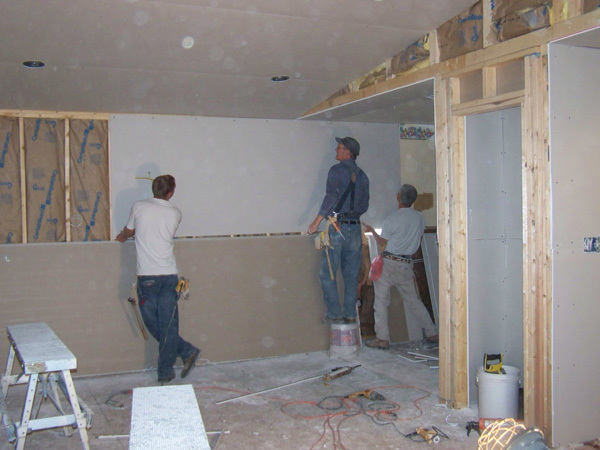 With Chicago Handyman Your commercial drywall project will exceed your expectations. We love renovating retail spaces. A quick facelift with some new drywall can get any retail business up and running. We know what it’s like when opening a new concept – it would be great if it was open yesterday. Chicago Handyman works with you on your retail drywall project to finish on time and within budget. From salons to consumer good and restaurants, We take the utmost care to keep our workspace clean and keep your vision in mind. We like to think of our retail customers as partners. We are on your team, so we will offer the best solutions customized to your guidelines. We repair and install drywall for all retail spaces in Chicago, Evanston, Oak Park and surrounding areas. Contact us for more information. Chicago handyman has drywall installation experience from in residential and commercial applications. It doesnt matter if you need home or office installation of drywall, Chicago Handyman has the installation skills to keep you moving on with life.Drywall is a tedious and pain staking process. what looks like a simple slather of paste and sanding requires incredible strength and endurance. using your arms non stop for 8 hours for several days in a row takes years of training and conditioning. Everything about drywall is heavy, especially installation. Chicago drywall projects are fun for us. We love transforming the look and feel of your property with something that seems so simple, yet requires so much strength and skill. Chicago Handyman are drywall installation experts. Give us a call to find out more today.